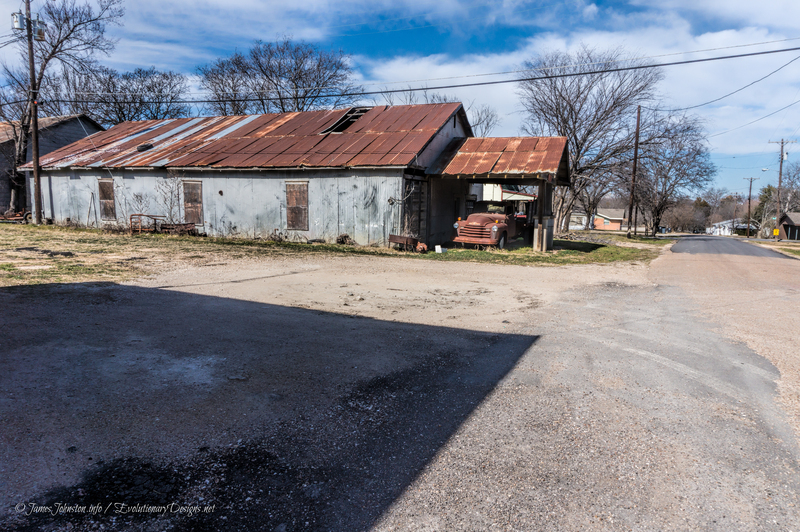 Back in January 2014, I spend the afternoon exploring HWY-77 from Waxahachie, Texas down through Hillsboro, Texas. A few months before I decided to take this short little road trip I gotten a lead about an abandoned Service Station. 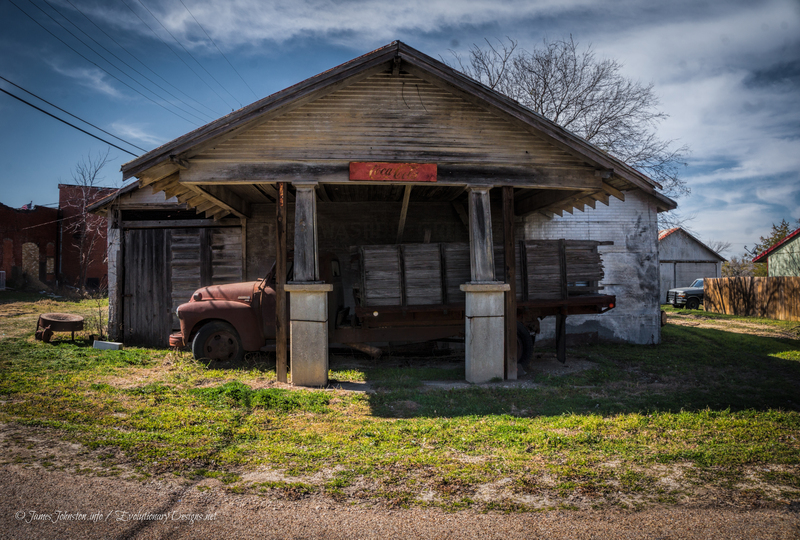 What I found was an abandoned Service Station and Truck in Italy, Texas. 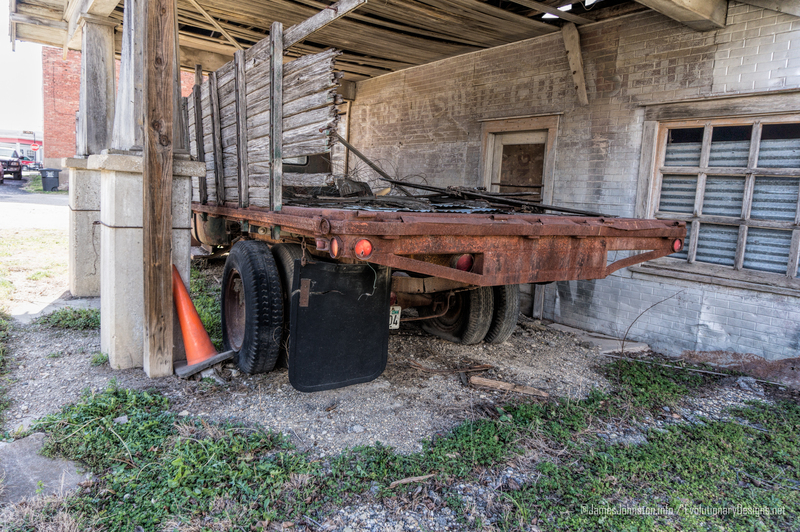 The only reason I found this old abandoned station and truck was a lead from a local photographer that found it while passing through town. The only clue he gave was the abandoned service station is in Italy, Texas. I will do you a little better, you won’t see it if you are traveling down HWY 77 and you might just miss it driving down the main street through downtown. Its off a side road and hidden around some houses and other buildings. The building looks to be an old service station that is attached to a warehouse out back. The building still has power and the land around the place is maintained. All the windows and doors are boarded up and are locked down tight. I could not find any signs of the name of the old business, but I could at least tell that from the old faded painted on the sign next to front entrance, it use be a car wash or did car washes at one time. What is really interesting about this this service station is that there is no evidence that there were ever any fuel pumps. So they were removed early on or did not provide fuel to the community. We have exhausted our research of the abandoned service station and truck in Italy, Texas and we need your help finding those leads. If you know anything about the history of this building or even what the name of the business, that would help us out a lot. We are also looking to speak with the owner, past owners, or members of the family that may have worked here or owned the property. If there are any old pictures of the service station we would love to share them with the readers of this site. If you have any leads for us, please contact us by using the contact page or by messaging us on the Facebook Page and let us know what you have for us. In the near future, I will be making a trip back to that area and plan on talking with neighbors and local business that may have known more about the old building. Please Note: This article was originally posted on my personal blog on March 16th, 2014 and rewritten and posted to VanishingTexas.com on July 5th, 2015. That site is no longer affiliated with us. All content from that site is slowly being migrated and updated to this site. All photos featured on this article were taken a few years before April 2017 unless noted. At the time these images was taken, it was just past 12:00 PM in the afternoon and the front of the building was in shadows. For the best lighting, I will have to be there early in morning or mid morning so the sun is over the large trees and surrounding buildings but not high enough that it creates shadows on the front of the building. I took these shots by hand with my Sony Nex-3N with the pancake kit lens, then processed it with Adobe Lightroom to crop, straightened, and remove dust spots from the images. Then I post processed the image with Topaz Labs Clarity to add more texture, remove shadows, boost brightness and contrast. Additional pictures added by photographer and friend James Nelms and used with his permission for this site only. His pictures were shot mostly with a tripod and edited Photoshop . Check her out on the authors and photographer page and check out her current work.